Even with Record Store Day dominating the week, we still have 6 smashers for you from 19th April’s releases. 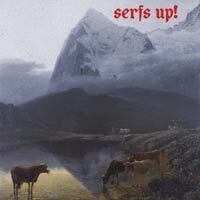 We start with Serfs Up!, the third album from Fat White Family, which marks the most gratifying and unexpected creative volte-face in recent musical history. Having released Songs For Our Mothers, core members Lias and Nathan Saoudi relocated to Sheffield and set about writing something new. Joined by co-conspirator Saul Adamczewski, Serfs Up! was finished with the help of long-time collaborator Liam D. May. 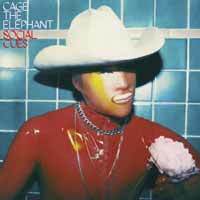 The majority of Cage The Elephant’s new album, Social Cues, was written during a break-up, lead singer Matt Schultz digging deep into his psyche to create fictional characters to tell aspects of a personal story far from fairytales. “It can be a vehicle to act out things that are hard to confront,” said Schultz. 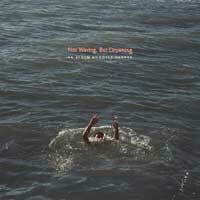 South London rapper Loyle Carner’s second album, Not Waving, But Drowning, features recent singles ‘Loose Ends’, ‘Ottolenghi’ and ‘You Don’t Know’ alongside 12 previously unreleased tunes – and features guest appearances from Sampha, Jorja Smith, Tom Misch, Rebel Kleff & Kiko Bun, Jordan Rakei, as well as his mum Jean Coyle-Larner. 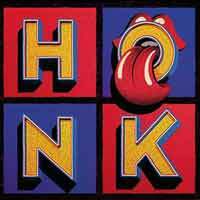 Honk features the biggest hits and classic cuts from every studio album by The Rolling Stones from 1971 to 2016, including ‘Brown Sugar’, ‘Angie’, ‘It’s Only Rock’n’Roll (But I Like It)’ and ‘Emotional Rescue’, right up to ‘Doom & Gloom’, recorded in 2012, and three singles from the band’s 2016 Grammy Award-winning album Blue & Lonesome. The bonus disc of the deluxe 3-CD edition includes 10 live tracks recorded at packed-out stadia round the world during the band’s recent sold-out tours, recorded in venues such as Philadelphia in June 2013 and London in May 2018. The Quireboys have amazed themselves. “The new music has surpassed all of my expectations,” admits guitarist Guy Griffin. “It’s the most diverse album we’ve ever done,” adds fellow strummer Paul Guerin. And for a band celebrating its 35th anniversary, that’s saying something. 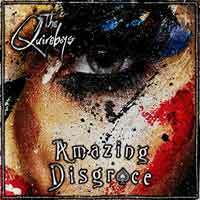 Amazing Disgrace contains twelve typically frank and familiarly evocative rock and roll classics by a band at the peak of its creative powers. Our album of the week comes from Jade Bird, who twists big themes of disillusionment, divorce, cheating, sorrow into the realities of an independent-minded, modern British teenager on her self-titled debut. Jade’s music transcends genre with a wealth of influence coming from everywhere, and anywhere. 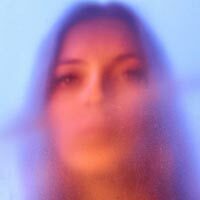 Classic, contemporary, and a total breath of fresh air in the current musical landscape, Jade Bird is that rare, next-generation artist who appears as clued up on the past as she is determined to learn from its lessons: in control, sometimes in your face, and in possession of gifts beyond her years. Don’t miss her visit next Saturday!